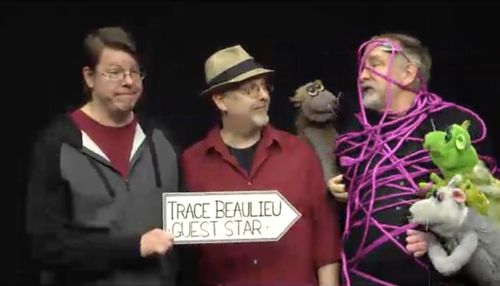 MST3K’s Trace Beaulieu Teams Up with Transylvania Television and More MN Talent for a New Project—and Did We Mention Puppets? Kickstarter has been around long enough now that there are several successful imitators and innovators. Crowdfunding isn’t an experiment anymore—it’s a fact of creative life. 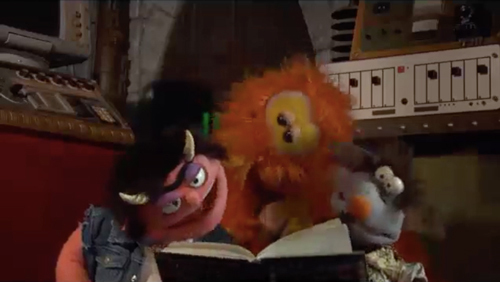 What might not be so widely known is that one of the projects selected for the beta rollout of Kickstarter was none other than the local not-for-kids puppet TV show Transylvania Television, better known as TVTV, of course. Now Gordon Smuder and some of the other creatives behind TVTV have launched another Kickstarter campaign in support of a new puppet project. This time around, the show will be more targeted toward an all-ages audience, but the same happy bend toward the weird will continue, as it revolves around the escapades of mutant lab rats and the doctor who “works” with them. The show is called Vermin. Beaulieu was at the premiere of Transylvania Television’s Halloween special and appreciated the “crazy, funhouse“ form of TV production that was TVTV. This energy reminded him of the early days of MST3K, and he became interested in the new project from the show’s team. Smuder says the TVTV production was a learning experience in some ways, and for Vermin he wants to maintain the energy of that show but also organize things a bit more. 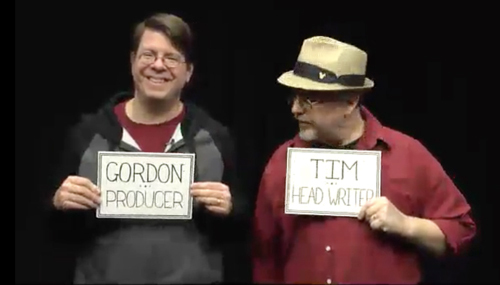 To this end, they’ve got seven episodes already written and ready to move into production once they’re funded. Those episodes were written by local geek personality Tim Wick, who might be best known for his part in the not-very-all-ages Vilification Tennis. Unlike TVTV, Vermin will be built from the ground up to be a web series. Smuder explained that the episodes will be half as long as a program you might see on cable TV, which will appeal to a web audience. Additionally, a web series can work well with Kickstarter as a way to reach fans directly without a distribution middleman. If the program does get picked up for broadcast distribution, Smuder suggested they’d have to retool most of the program for television and that would be outside the scope of this startup Kickstarter. Vermin has massive amounts of talent behind it and is certainly worthy of funds to match those talents. Local rah-rah boosterism will only go so far, but I can imagine puppet fans everywhere enjoying this scrappy and ambitious program. It’s a great idea no matter where you live. The Vermin Kickstarter campaign is in the home stretch and will end on Wednesday, April 22, 2015. I hope to see Placeholder Labs fully operational soon after that. Awesome write up! Thank you, Todd!